Dr. King was board certified in Internal Medicine in 1986 and Nephrology in 1988. 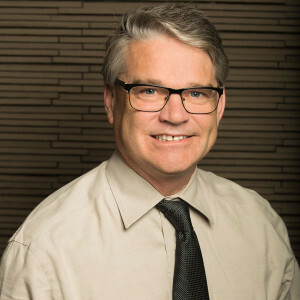 After he received his medical degree from Northwestern University in 1983, he served his internship and residency specializing in Internal Medicine at Northwestern Memorial Hospital-Chicago. Dr. King then trained in Nephrology at Brigham and Women’s Hospital/Harvard Medical School. He next was recruited by New England Medical Center Tufts University School of Medicine where he was an Associate Professor of Medicine and Program Director of the Nephrology Training Program. In 2001, Dr. King was recruited to Scripps Clinic Torrey Pines, in La Jolla, CA, where he serves as the Division Head of Nephrology. He also functions as a Clinical Professor of Medicine at University of California, San Diego Medical School. Dr. King has authored more than sixty manuscripts on Nephrology and has published chapters in major Nephrology textbooks. He has received numerous awards for excellence in teaching and patient care. Take the first step to ensure that Dr. King’s vision will be actualized; namely, that all patients will be educated about their dialysis treatment options for chronic kidney disease management. All patients, regardless of age, education, ethnicity, and socioeconomic status deserve to have their individual choices for their dialysis care respected. Is home dialysis right for you or your loved one? Call us to find out.